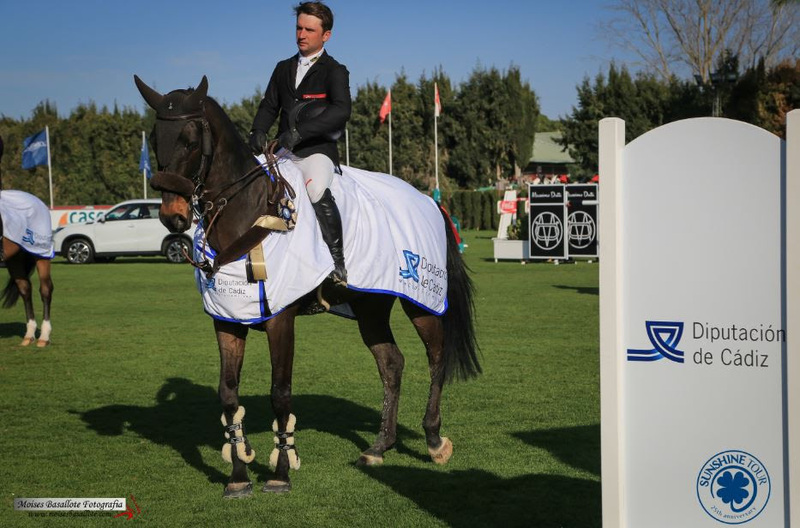 Twenty-six-year-old Richard Howley from Co Sligo recorded an impressive victory in yesterday’s (Sunday) three-star 1m50 Grand Prix of Cadiz at the Spanish Sunshine Tour in Vejer De La Frontera. 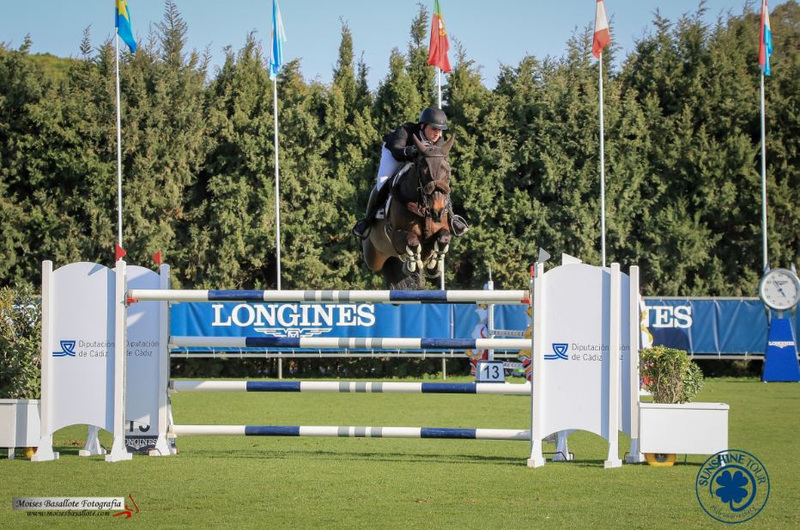 Riding the 12-year-old gelding Chinook, who is owned by Sarah Borthwick and HK Horses, Howley was among 11 combinations who jumped clear in the first round to set up a very competitive jump-off. The Irish riders’ clear round against the clock in 27.80 seconds proved unbeatable and he took home the winners prize of €12,550. Britain’s Jake Saywell finished second with Havinia van de Roshoeve (29.21), while another British rider, Jodie Hall McAteer, took third place with Salt’n Peppa (30.64). “I know this horse very well and besides being extremely fast he can turn on a sixpence. I really hope to ride in the Invitational GP at the end of the Tour with one of the top horses that we have brought down,” he said. Howley also claimed runner-up spot in the 1m45 speed class with Farianne. In the earlier medium tour 1m45 Grand Prix at the same venue, Ireland’s Kevin Gallagher finished as runner-up with the Irish Sport Horse Hybernia to take home €5,000. At Lillestrøm in Norway, Limerick’s Shane Carey and Fecybelle took third place in the Grand Prix where victory went to Sweden’s Peder Fredricson with H&M All In. Previous articleWill Josies Orders Roll Back the Years at Cheltenham?